Mighty Let's You Use Spotify on a Workout Without Bringing Your Phone | OhGizmo! It seems like just yesterday when the iPod was the perfect workout companion and using our phones for music but a distant dream. Part of me still misses the ease and super portability of the iPod shuffle. Unlike today where gym visits and bike rides require lugging around an expensive and delicate phone, you could simply clip the Shuffle to your shirt and workout without it getting in the way. Well, one company is trying to make workouts less of a hassle with Mighty, an MP3 player resembling an iPod Shuffle with a modern twist. The ability to sync playlists and songs from Spotify wirelessly. The Mighty can connect to Spotify through an app on your smartphone, which allows you to create new playlists and sync them over to the Mighty before a workout, letting you ditch the phone. The addition of a specific button also allows you to select between playlists, letting you fill up its 8GB capacity with around 1,000 songs over many playlists. The Mighty was originally brought to Kickstarter where it raised over $300k, and soon after, the company began working closely with Spotify to ensure smooth ease-of-use. A win-win for both companies, it ensures that the Mighty and its owners will have Spotify’s support. The Mighty also has support for both 3.5mm headphones as well as Bluetooth headphones, so new phone owners still resentful with the removal of their headphone jack can use their favorite headphones during a workout without living the dongle-life. 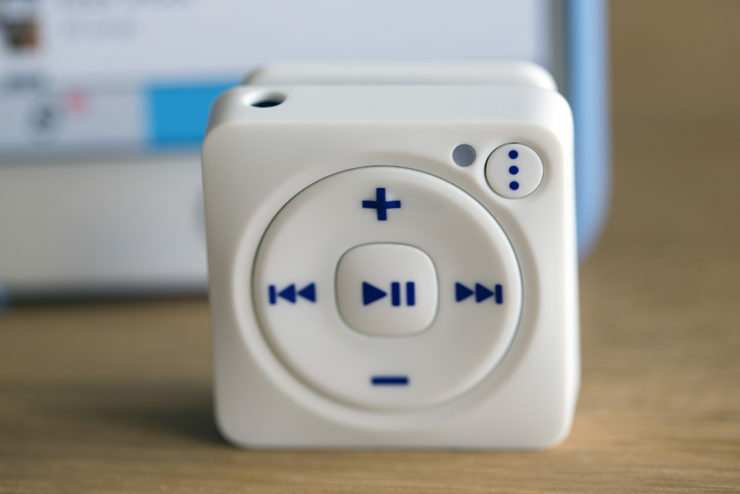 There’s a little more to it, but it’s available now for $86 on Mighty’s website for anyone who thinks it may be time to rethink buying a dedicated music player.